Select your town below for the fastest way to Community Information. If you have problems using the drop down list, then click here to use our site map. Our hometown sites offer: Yellow Pages, Classified Ads, Guestbooks & Forums, Community Calendars, History and Trivia. These Community Websites are part of a network of over 11,000 represented within the Hometown England Network of Communities. We rely upon and encourage all members of the community to participate in the development of these pages. So come on in and visit with us, see what our great communities have to offer and if you can't find what you are looking for, let us know by posting a question in our Community Forums so that a member of that hometown can reply to you or email you the answer. Cumbria is a county in the North West region of England. The boundaries are along the Irish Sea to Morecambe Bay in the the west, and along the Pennines to the east. Cumbria's northern boundary stretches from the Solway Firth along the border with Scotland to Northumberland. Parts of Hadrian's Wall can be found in the northernmost reaches of the county, in and around Carlisle. Cumbria is neighboured by Northumberland, County Durham, North Yorkshire, Lancashire, and the Lieutenancy areas of Dumfries and Roxburgh, Ettrick and Lauderdale in Scotland. It is made up of six districts: Allerdale, Barrow and Furness, Carlisle, Copeland, Eden and South Lakeland. 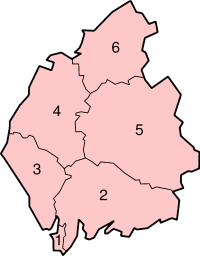 Cumbria was created in 1974, and covers the traditional counties of Cumberland and Westmorland, plus the Furness part of Lancashire, and a protrusion of Yorkshire. The name "Cumbria" has been used for the region for centuries. 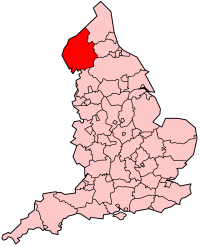 Following the creation of Cumbria as an (administrative) county, some people, particularly those born or brought up in the area, prefer to refer to the Furness area by its traditional county name of "Lancashire". Others, including local government, promotional material for the area, the Lake District National Park Authority, and most visitors describe the area as being in "Cumbria". The culture of the area was Celtic until quite late, and the name derives from their name for the area, in the Cumbric language. 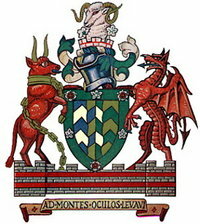 It is etymologically connected to the Welsh term Cymru, meaning "Wales". Cumbria remains one of the most Celtic areas of England. Cumbria is home to the Lake District National Park, considered one of the most beautiful areas of Great Britain. The highest point of the county (and of the whole of England) is Scafell Pike at 978m/3209ft. The area has provided inspiration for generations of British and foreign artists, writers and musicians. The former site of the Beast Banks post office in Longsleddale. The above article in gray is licensed under the GNU Free Documentation License.